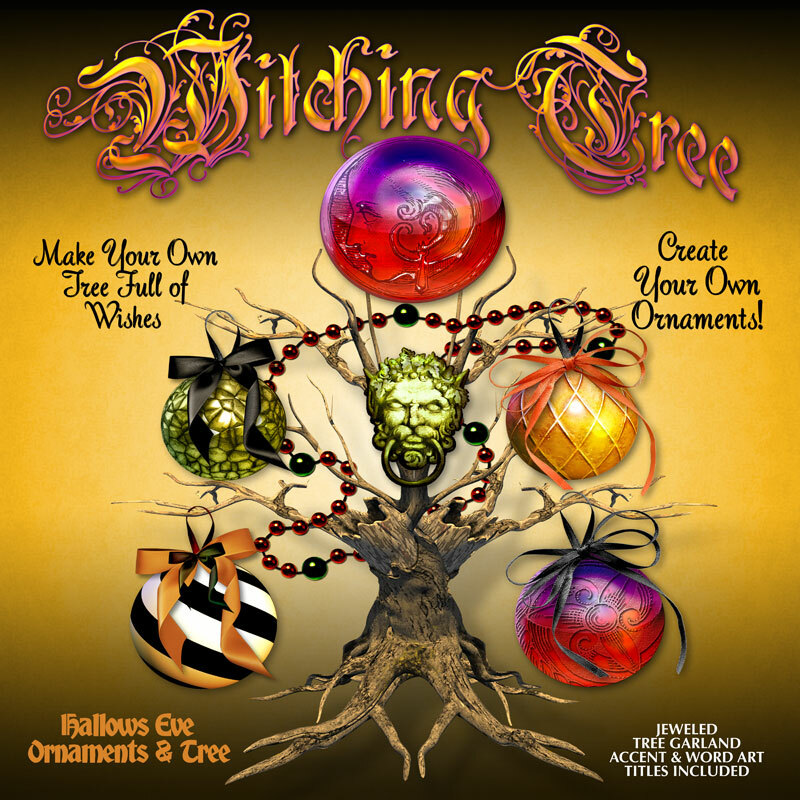 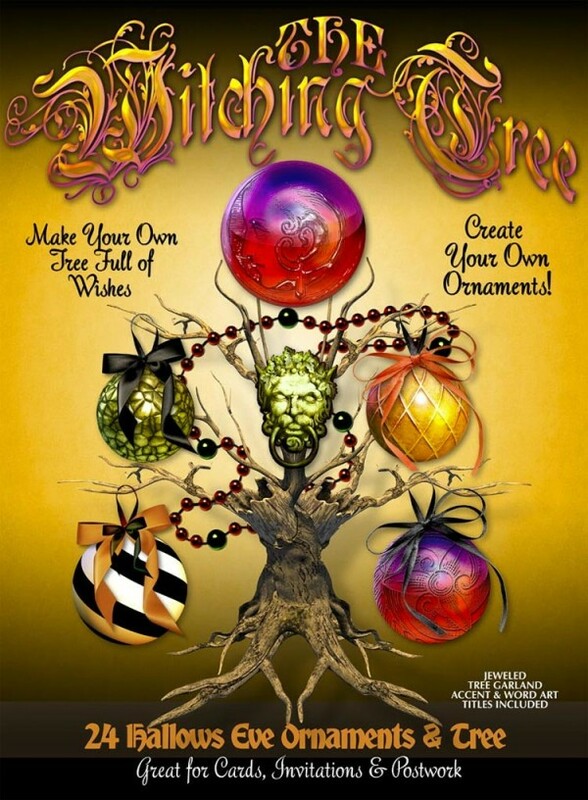 Includes 9 packs of Halloween Scrapbooking Kit Goodies PLUS Printables for Halloween events. 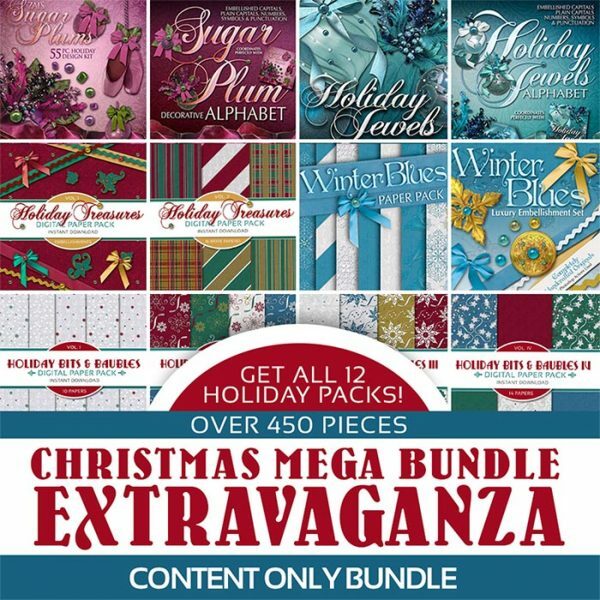 Get it all and save at the same time! 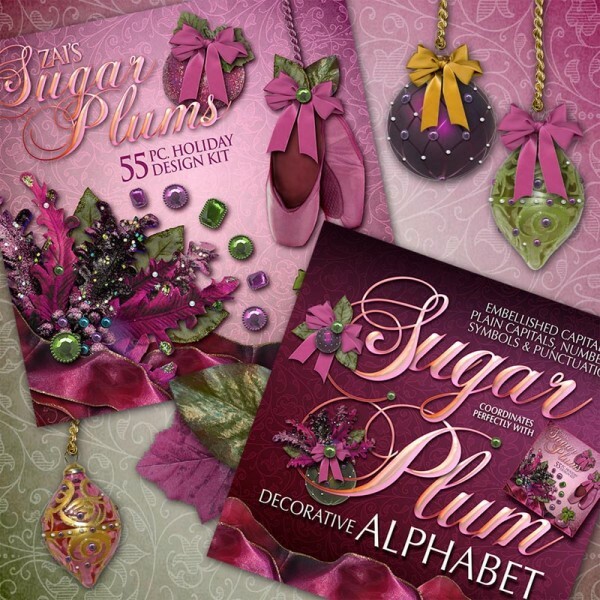 This product can only be purchased by Members. 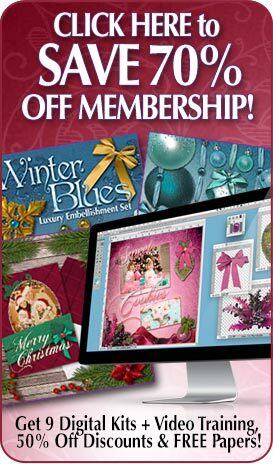 If you are member log in here. 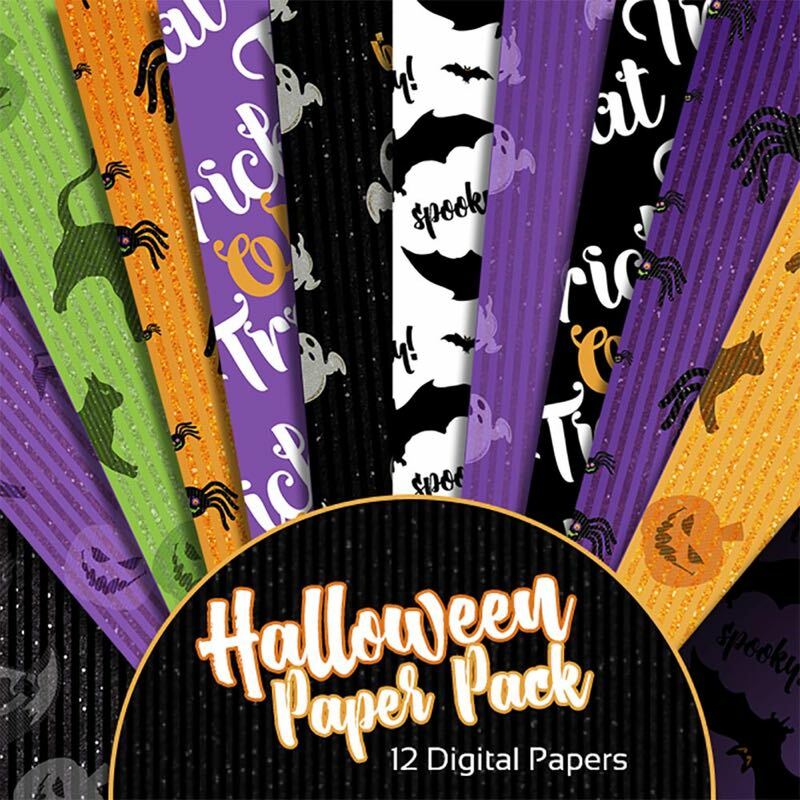 Tags: Digital Paper Pack, Digital Scrapbook Bundle, Gothic, Halloween, Holiday, Lace, Party Printable, Printable Cupcake Toppers, Printable Cupcake Wrappers, Printable Scrapbook Paper, Pumpkins, Ribbons, Scrapbooking Kits. 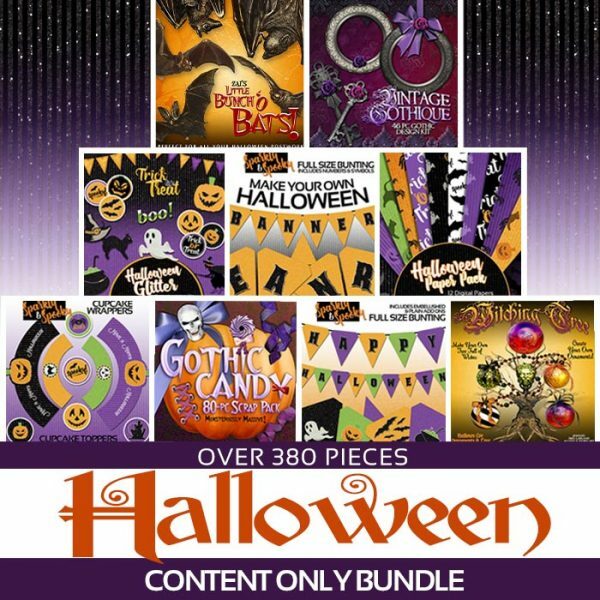 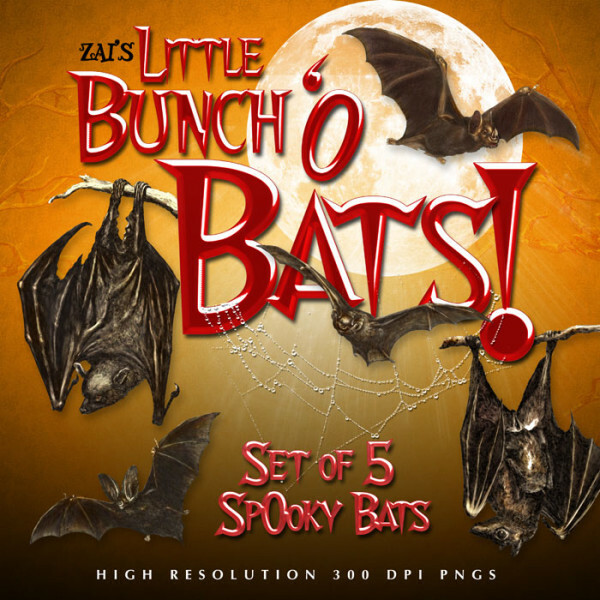 INCLUDES 9 PACKS IN ONE GIANT SUPER VALUE HALLOWEEN CONTENT BUNDLE! This Halloween Content Bundle is stuffed full of everything you need to make your Halloween events and memories shine! 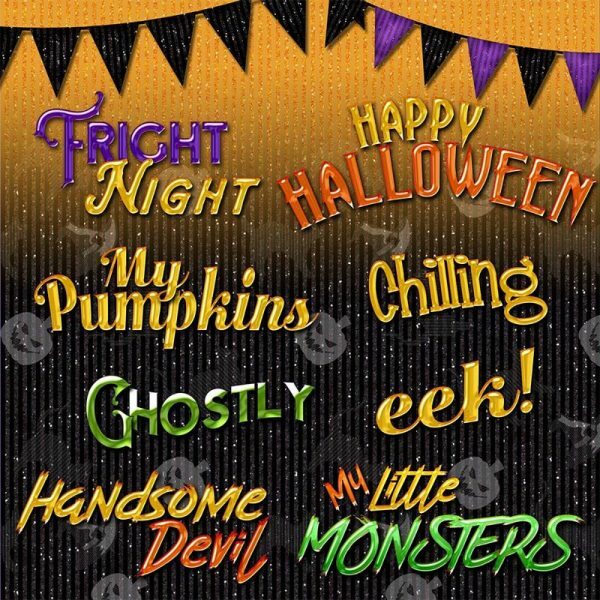 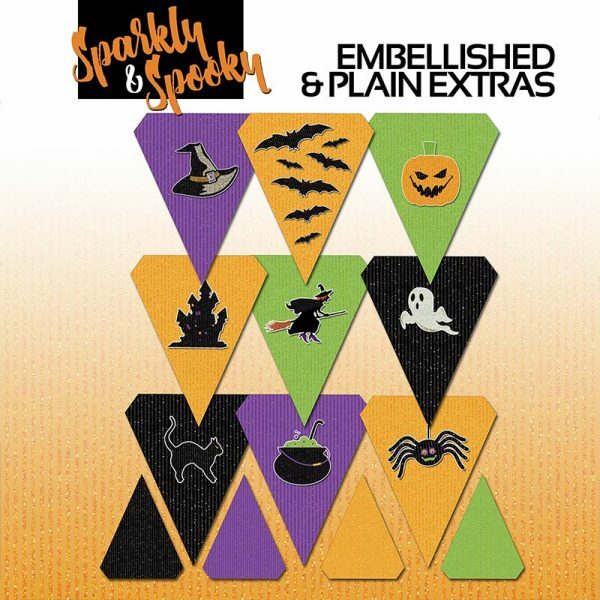 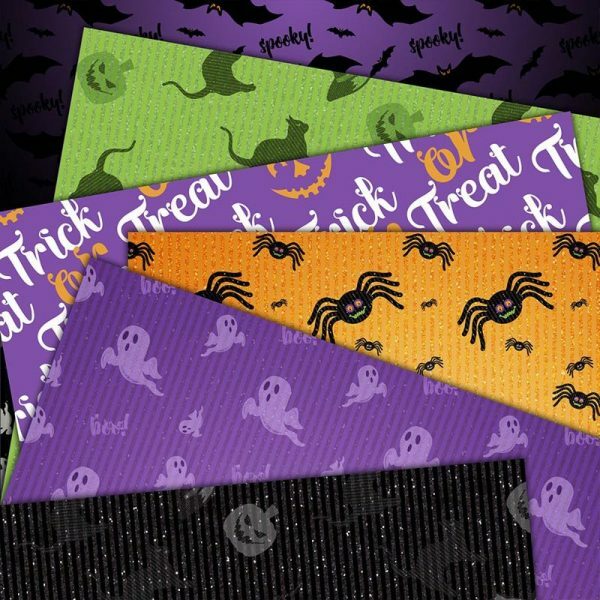 Our Halloween Digital Scrapbooking Papers fill the Halloween Glitter Extra Paper Pack with 12 more exclusive high-resolution print-quality digital scrapbook papers that are the perfect match for the Halloween Glitter Scrapbooking Kit. 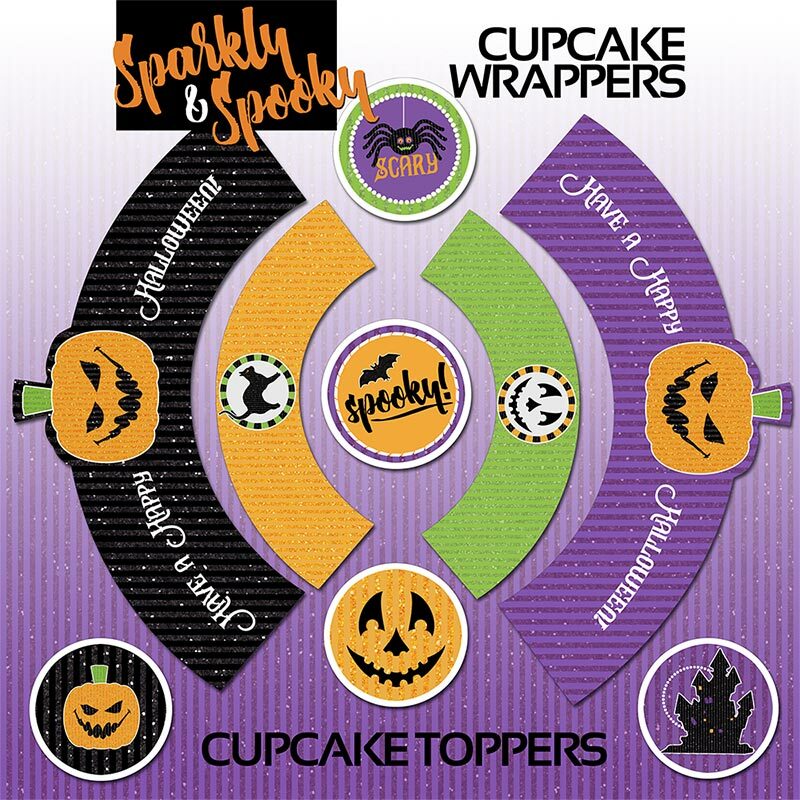 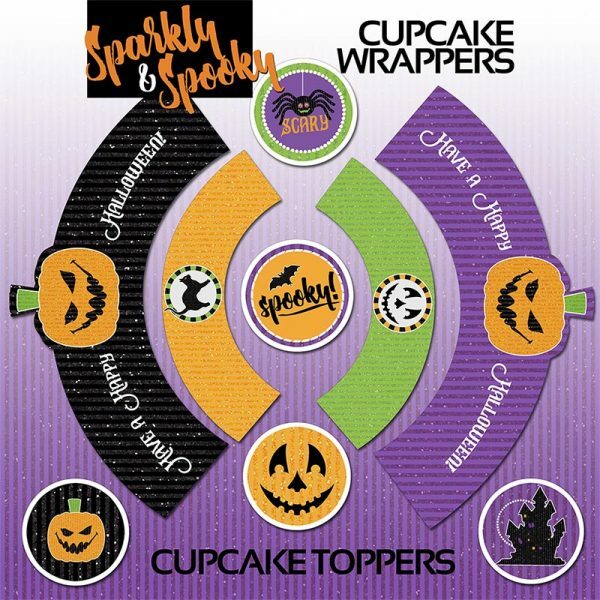 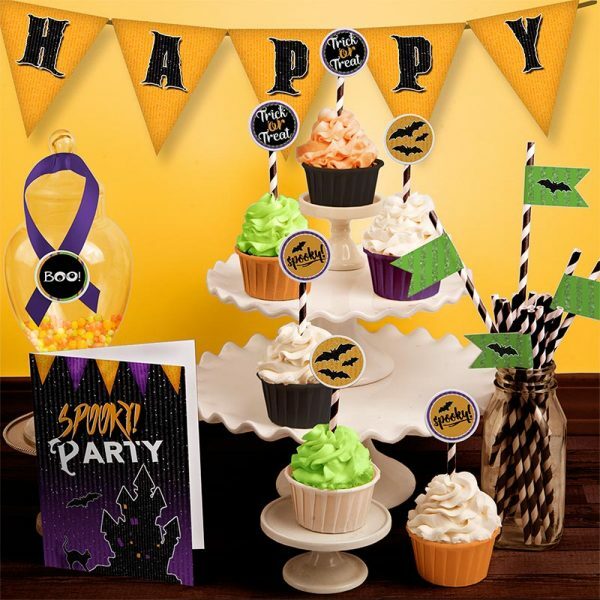 The Halloween Party Printable Cupcake Toppers set includes wrappers and toppers for your Halloween cupcakes plus decorative straw flags to liven up your holiday party beverages. 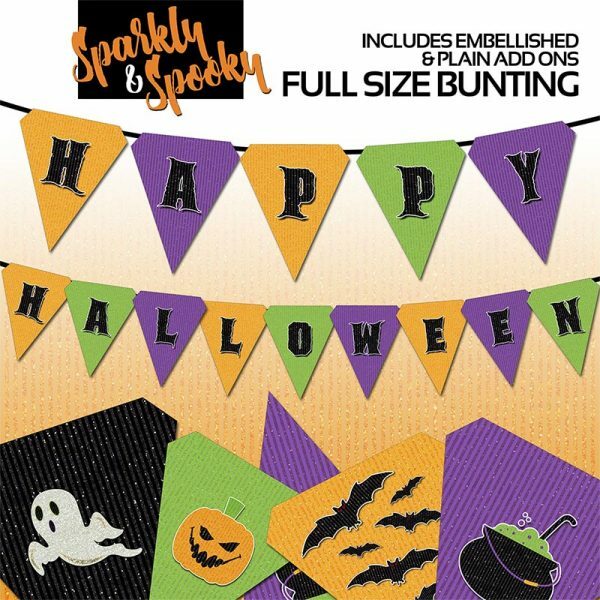 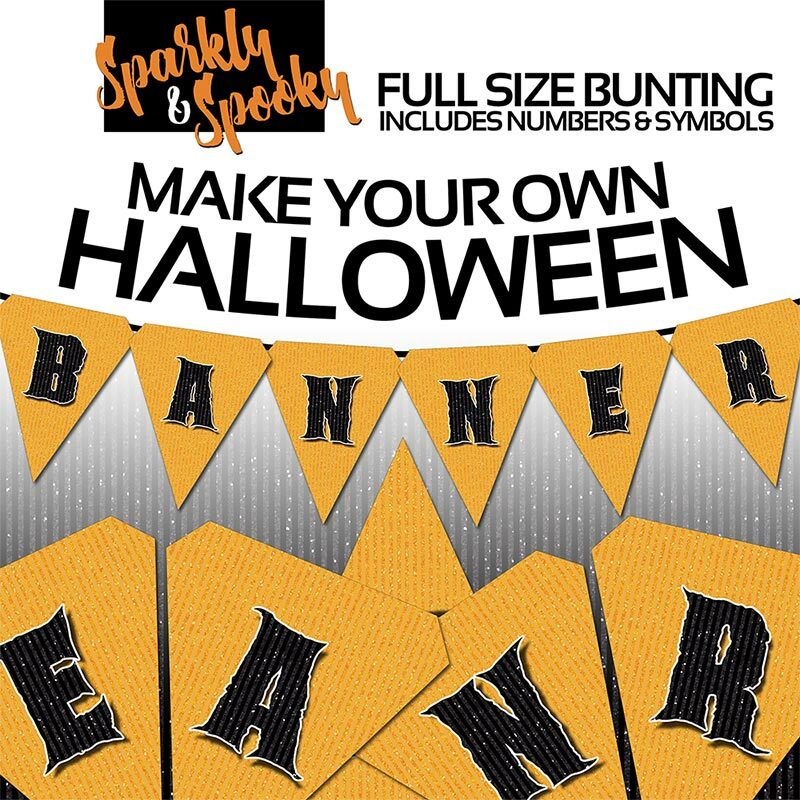 Customize the perfect party banner for your event with extra matching plain bunting pieces as well as a set of bunting in multiple colors, embellished with cats, bats, hats, pumpkins, ghosts and more. This Halloween Party Printable Bunting Alphabet Bunting is a high-resolution print-quality set of Halloween Bunting in orange glitter stripes with black glitter letters. 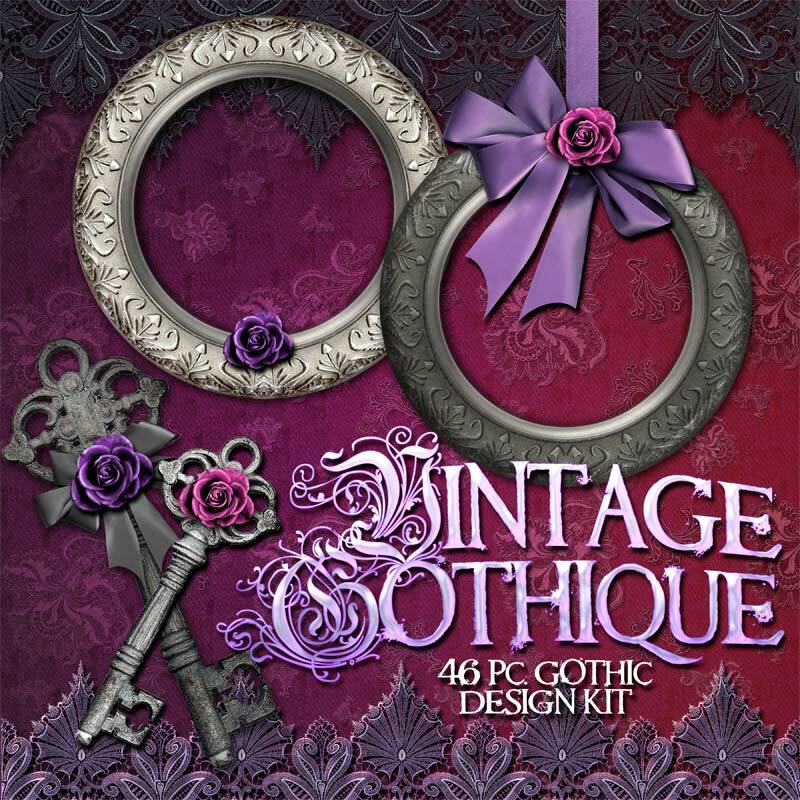 Luscious and dark-spirited, the Vintage Gothique Design Kit has all you need to create stunning layouts in hot gothy shades of crimson, violet, onyx, silver and deep candy pink. 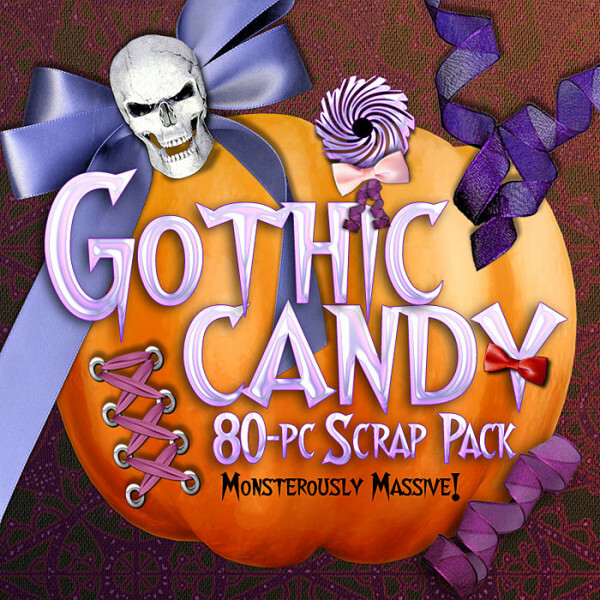 Bring Your Dark Side to Life with this Jam-Packed, “Monstrously Massive” 80-PC. 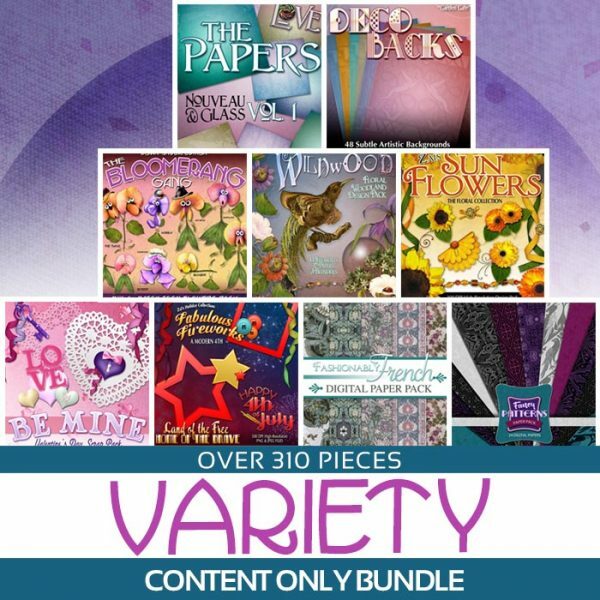 Scrapbook Mega-Bundle of Gothic Eye Candy! 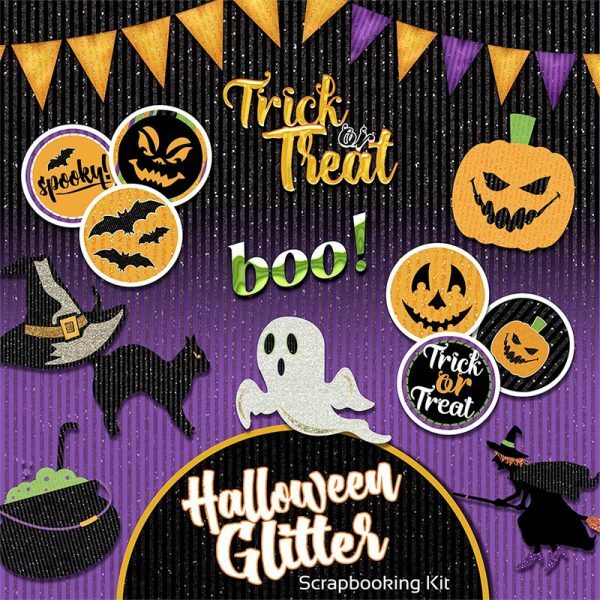 13 fabulous scrapbooking papers, cute and creepy scrapbook embellishments like Skulli-Pops, pumpkins, ribbons, bows and more.